What do James Bond, Indiana Jones, Lawrence of Arabia, Anakin Skywalker and the Man with No Name have in common? All of these beloved characters, or at least the actors that have portrayed them, came to shoot their exciting adventures in Spain. The country is world-renowned for its ideal mix of film-friendly terrain, pleasant weather and astonishing views, so its cities and landscapes are often chosen as the settings for many international productions. Often, the various locales of Spain have been chosen for their resemblance to places like the Wild West, the Siberian steppe, and with a little movie magic, even alien worlds in a galaxy far, far away. On other occasions, locations are much easier to recognise as Spain’s famed monuments and landmarks have been used in the sets of many major motion pictures. 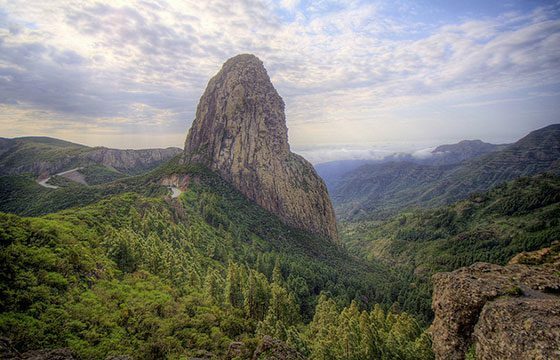 With a sun-kissed, subtropical climate all year-round, as well as a wealth of remote villages, rugged mountains, lush forests and unspoilt coasts, it’s really no surprise that La Gomera, the second smallest of Spain’s Canary Islands, is a location scout’s dream. Most recently, the small fishing port of Playa de Santiago, nestled on the southern tip of La Gomera, was chosen as a key shooting location by filmmaker Ron Howard for his historical, true to life survival tale, In the Heart of the Sea. Due to La Gomera’s remote location, it’s very important to be aware of local laws and regulations. Luckily, our team at NEEDaFIXER SPAIN can advise on such matters and sort out all the permits and visas required to film in this picture-perfect paradise. 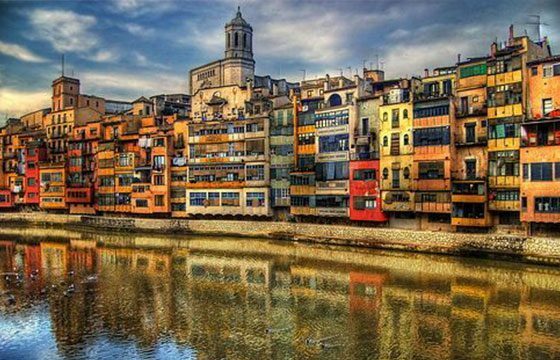 Girona, a charming city in Spain’s northeastern Catalonia region, has become one of the world’s hottest filming destinations since appearing in season six of Game of Thrones. With its historic churches and cathedrals, winding alleyways and towering arches, what more could you ask for in a film location, especially when your production is set in the Middle Ages? The Jewish Quarter is one of the city’s most emblematic areas, consisting of a labyrinth of narrow streets and patios that have maintained their medieval atmosphere to this day. In fact, it is one of the best preserved Jewish quarters in the world—perfect for a time-specific, cultural piece! As there can be challenges when trying to film in the busier areas of the city, we can help arrange for the right permits, hire cast and crew and handle all logistics with local authorities to make your shoot much easier. 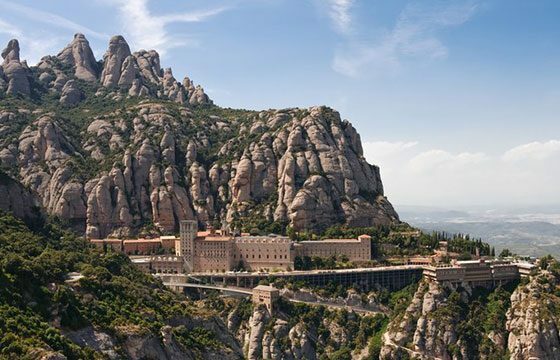 Located about one hour northwest of Barcelona, Montserrat is a spectacular location for dramatic mountain shoots. With jagged peaks and even an actual monastery at the top, it’s the perfect backdrop for an ancient stronghold or for when you are trying to capture a spiritual vibe in your film. The best part is that our team of fixers in Spain can provide all kinds of bespoke services to make it easier to film in the area, such as consulting on safety issues, so you can unlock the full potential of the location. 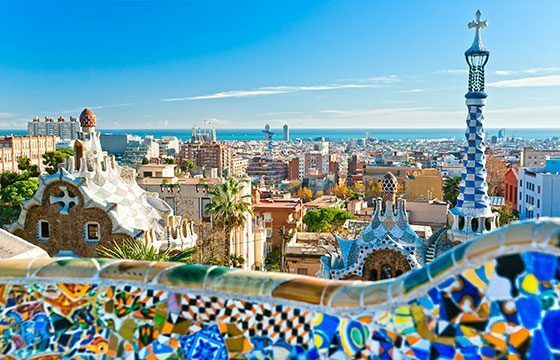 From its innovative, colourful architecture, lively town centre and bustling markets to its gorgeous waterfront and picturesque gardens and parks, Barcelona is no doubt one of the most beautiful cities in the world. The city’s Gothic Quarter, located right in the heart of old Barcelona, is perfect for an atmospheric horror scene, thanks to its rich history and old-world ambiance. As with any busy city, however, it can be difficult to know the best locations and times to shoot, along with many other practicalities involved in filming public places. Fortunately, we at NEEDaFIXER can sort out all the details so you don’t have to. 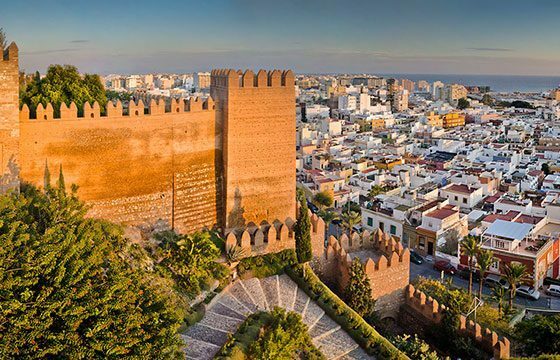 Almería in Andalusia has served as a film set for many of the world’s most renowned directors, including Steven Spielberg, Sergio Leone, John Milius and Ridley Scott. Why Almería? For starters, it’s considered one of the sunniest parts of Spain, offering a unique quality of natural light for shoots, and much of its desert-like landscape of imposing badlands, dry river beds and barren mountains look they came from straight from out a spaghetti western scene. Almería’s exotic landscape also means that it can be used as stand-in for Middle Eastern countries. It’s no surprise then that many legendary films such as Lawrence of Arabia, The Good, the Bad and the Ugly, Cleopatra, and more recently, Exodus: Gods and Kings were shot here. As always, if you would like to film in the area, we can help with any and all of your specific needs.